The best service and caring in a quiet and relaxing environment. 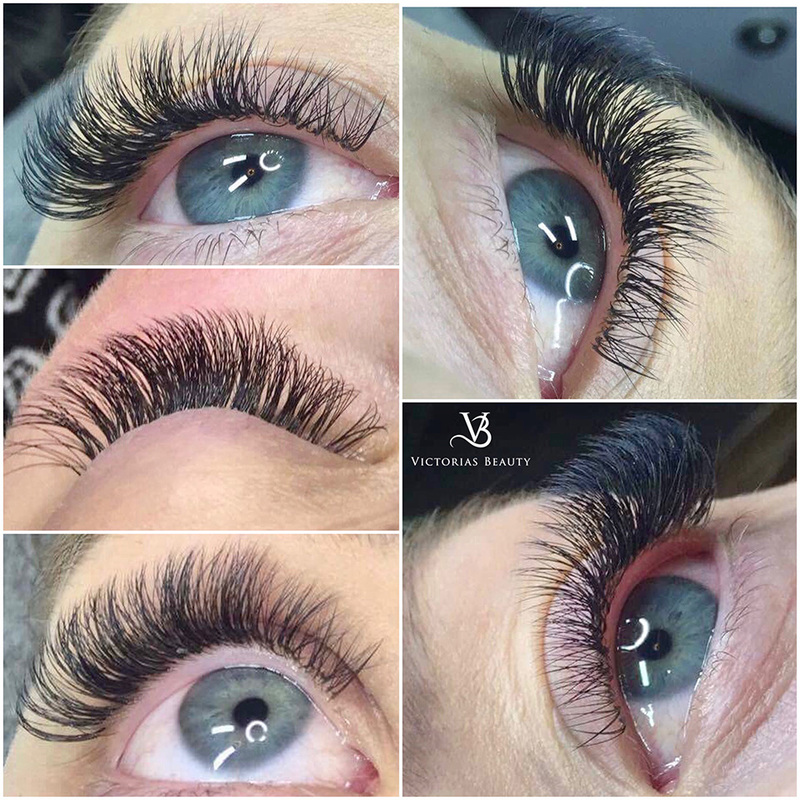 Victoria´s Beauty is owned and operated by Lan Naas who has many years experience in the beauty industry. Lan is certified in Master Beauty Therapy and in Postgraduate Diploma International Dermal Institute of Skincare in Sydney. 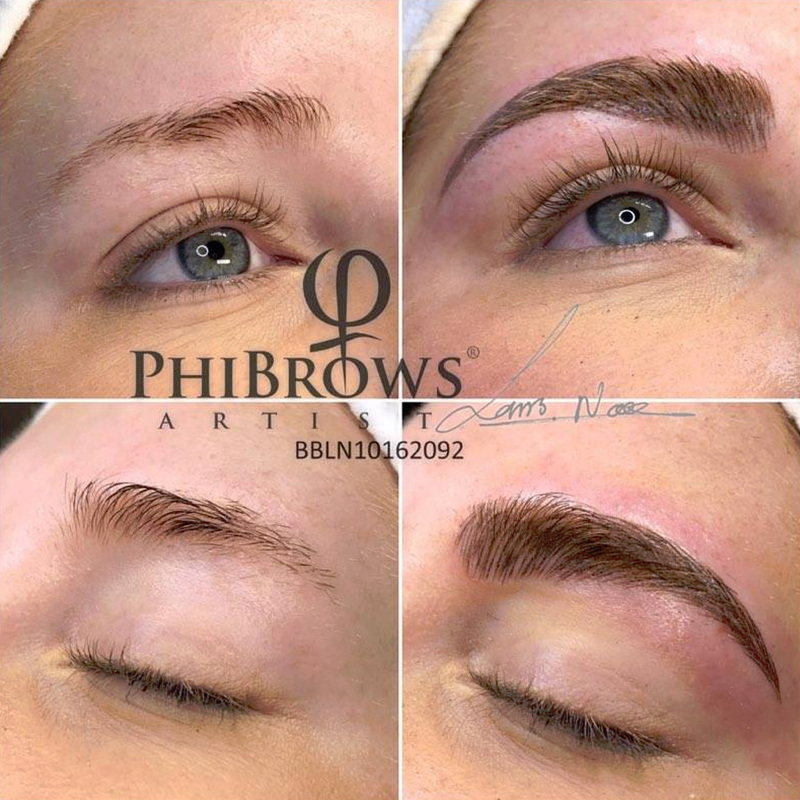 Early 2016 Lan went to Belgrade, Serbia to study Microblading education at the world renowned International PhiBrows school. 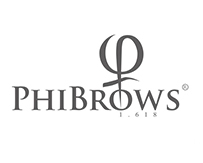 Lan completed training and was approved PhiBrows Microblading artist in October 2016. And also a member of The Association of Professional Aesthetician of Australia, And was living and working in: Australia-Portugal-Jordan-USA and Norway. Our promise is to leave you looking and feeling great! Target your most pressing skin concerns. 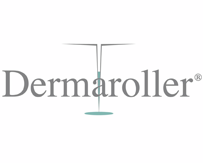 Through your Face Mapping SM zone-by-zone skin analysis, we’ll create a treatment that’s customised to meet the needs of your skin, using Dermalogica professional products, we’ll deliver healthier skin with a fresh appearance. This process involves the smoothing away of dulling surface debris, while restoring vital nutrients to tired skin. An exfoliating body scrub customised with aromatherapy essential oils will smooth the skin and relax stressed muscles igniting your senses. 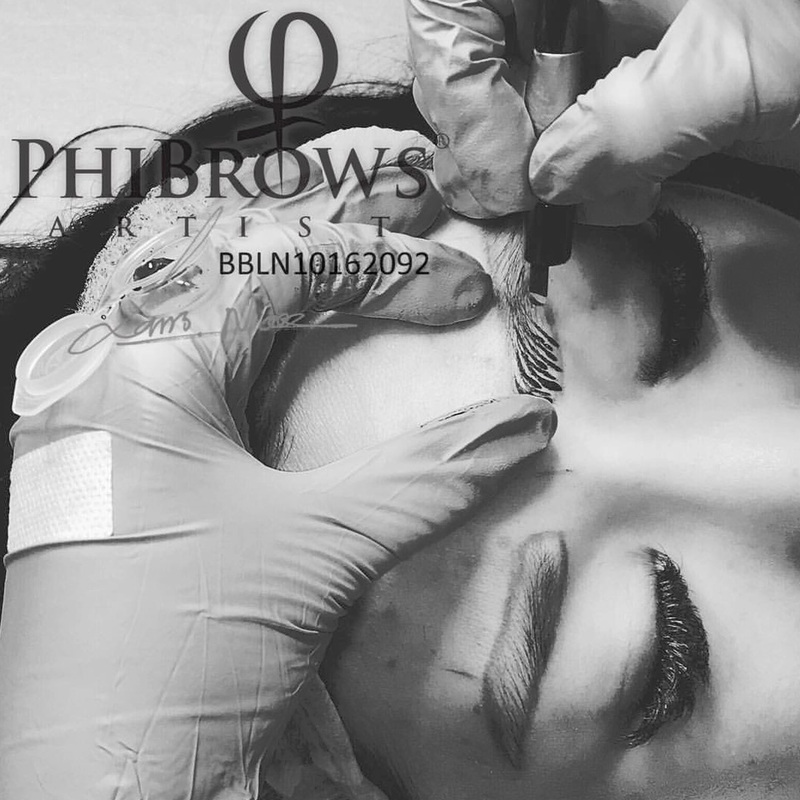 Microblading is a way of implanting pigment under the epidermis using a specially designed tiny blade which leaves thin realistic hair strokes for the most natural finish. Massage is the manipulation of superficial and deeper layers of muscle and connective tissue to enhance the function and promote relaxation and well-being. Iincrease energy reduce the effects of stress and restore lost balance to mind, body and soul. There are many benefits to waxing versus other forms of hair removal. It is an effective method to remove large amounts of hair at one time and is a longer lasting method. Hair in waxed areas will not grow back for two to eight weeks. 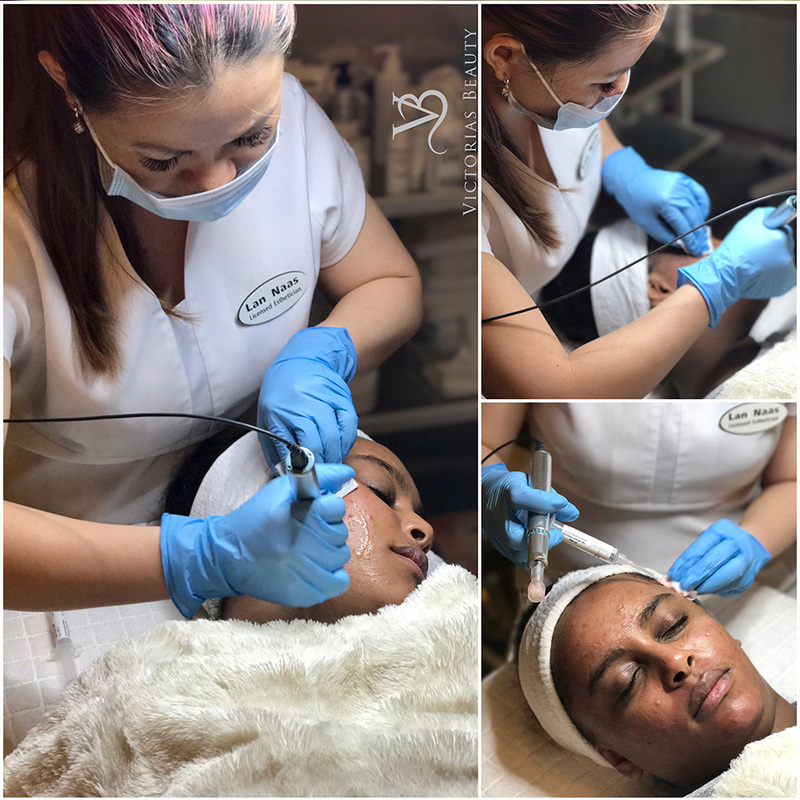 Skinneedling is a minimally-invasive non-surgical and non- ablative procedure for facial rejuvenation that involves the use of a micro-needling device to create controlled skin injury. UV Gel Nails are artificial extensions worn on the fingertips. 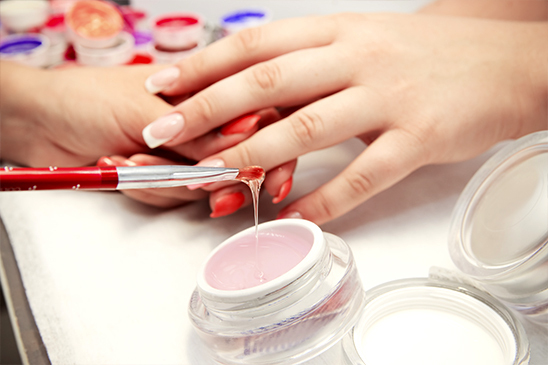 Gel nails are a type of artificial nails that most closely resembles the natural nail. The strands, when dry, form a hard resin that resembles a fingernail. 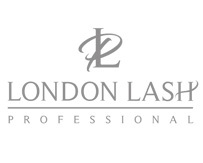 Eyelash Extensions is a practice that enhances the length, thickness and fullness to natural eyelashes. The extensions may consist of silk, mink, or synthetic hair. Try it today! You may already be familiar with paraffin wax treatments at spas and nail salons -- it's a luxurious addition to a manicure or pedicure. But you may be surprised at what else paraffin wax is used to treat. Target your most pressing skin concerns and improve the health of your skin with a professional face treatment. Through your Face Mapping SM zone-by-zone skin analysis, we’ll create a treatment that’s customised to meet the needs of your skin, and using Dermalogica professional products, we’ll deliver healthier skin with a fresh appearance. 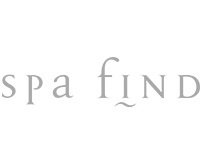 A mini-facial is a “one-facial-fits-all” treatment that incorporates all of the basic elements of facials. 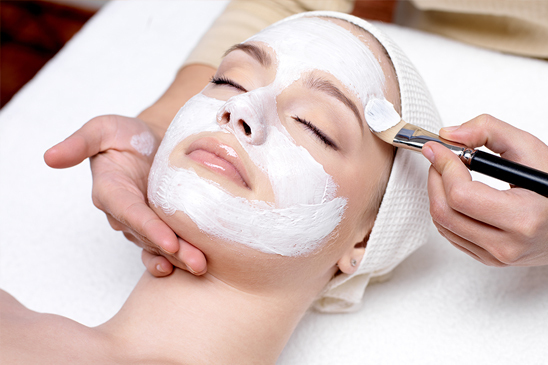 Lasting about 30 minutes, a mini-facial is likely to include cleansing and exfoliating, toning and a face mask. Finishing with day-cream care. 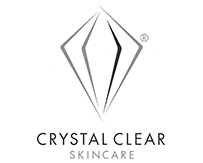 Includes professional double cleansing, exfoliation, extractions, masque, hydration and solar defence. Additional products and therapies may be added to target the individual needs of your skin. A Wonderful Treatment. Includes cleansing of the skin, toning, exfoliating and frimator brush cleansing. The face and neck areas are then massaged for a relaxing 15 mins and an intensive mask is applied. While skin is the same, men’s skin does have different needs and concerns. Target them with this treatment that focuses on deep cleansing, smoothing exfoliation, extractions and critical hydration for healthier skin and a fresh appear ance. is a relatively new, manual method. It is considered to be semi-permanent, as compared to the traditional hair strokes technique. 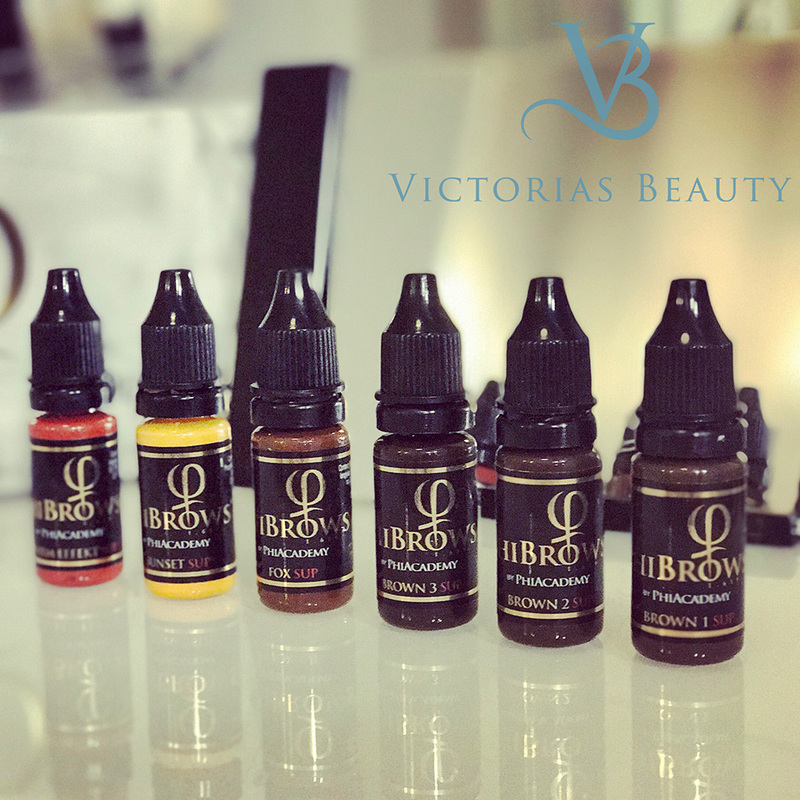 Together we design a brow which is totally bespoke to you, your colour will be mixed from the highest quality pigments just for you. 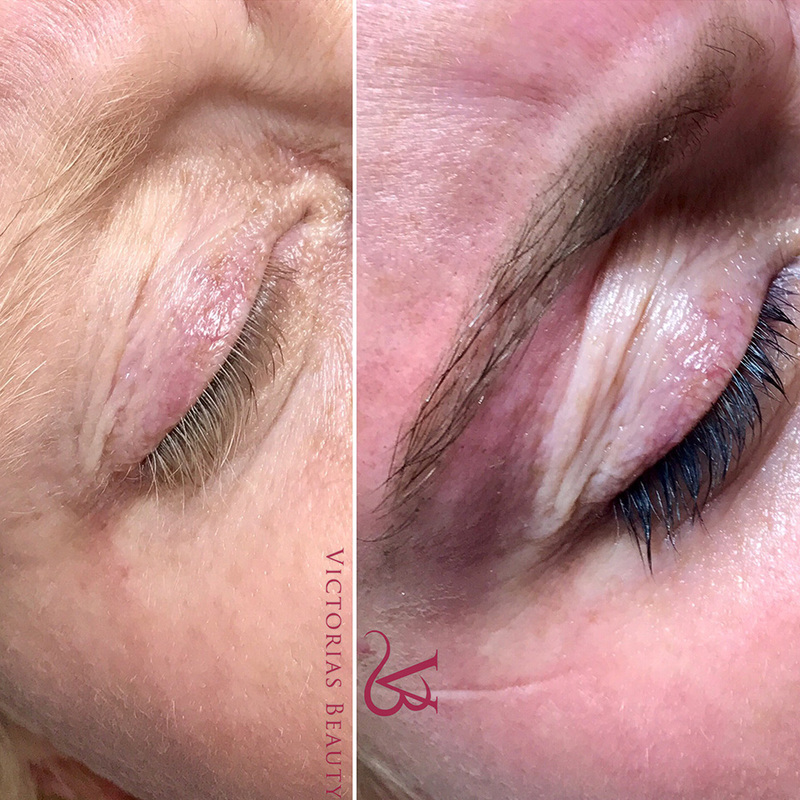 With this method Victorias Beauty can create almost any look, from a very natural light finish or a beautifully bold brow. Sparse or missing brows can be completely restored. When using the hand held Microblade, the colour is deposited closer to the surface than when a machine is used leaving very fine and crisp hair strokes with no spilling under the skin. 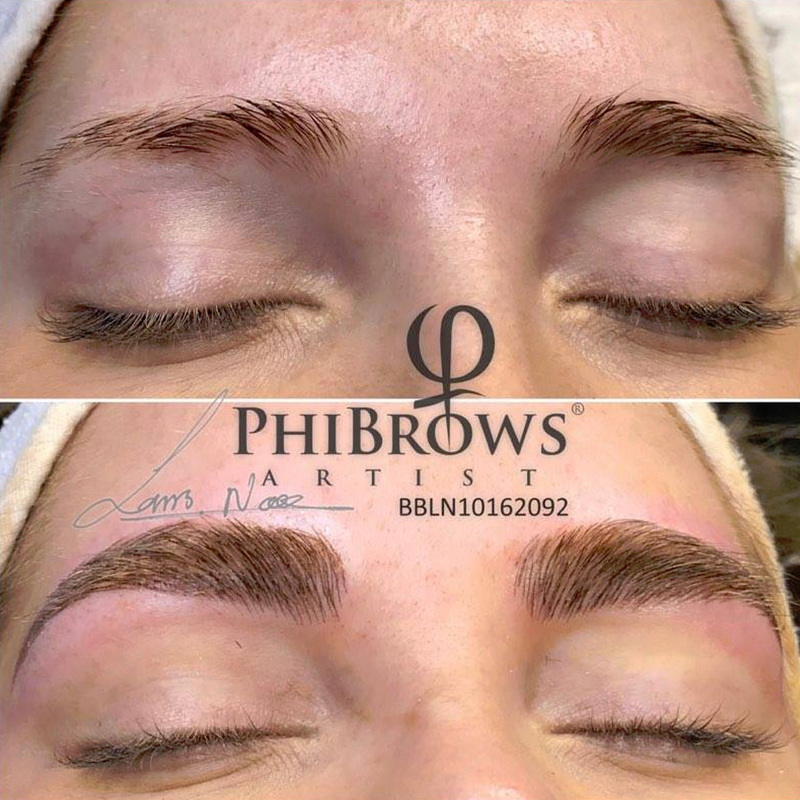 The treated brows are usually a little tender, and the colour a little darker than the healed result, but they are not normally so dark as to be unsightly. Normal activities like work and socialising can generally be resumed the same day. They lighten considerably to a softer tone over the next 10-14 days. 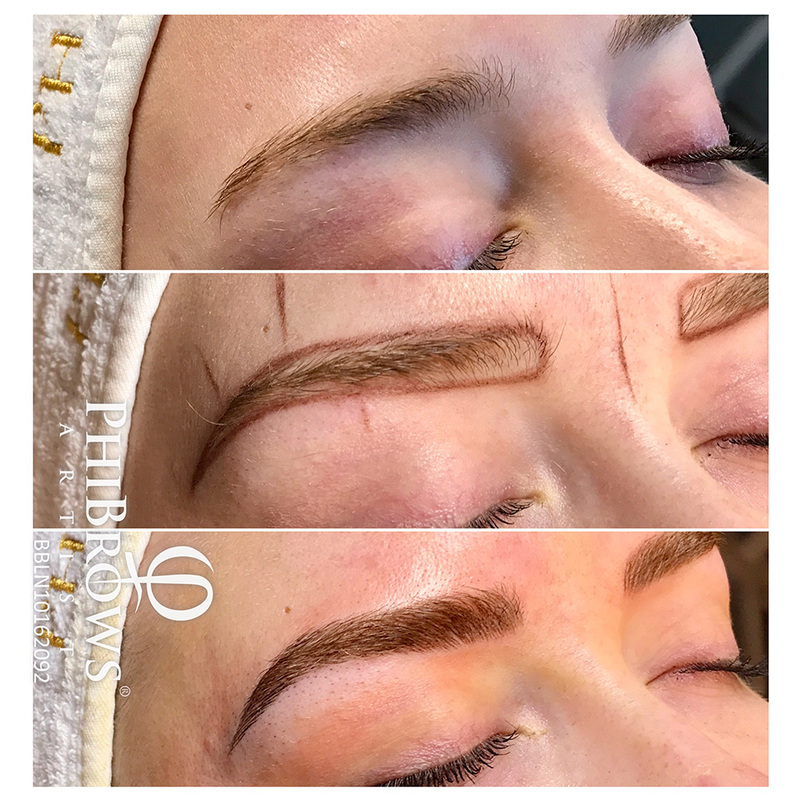 Microblading originated in Asia and is also known as eyebrow embroidery. A fantastic treatment for anyone looking to improve or enhance the appearance of their eyebrows. 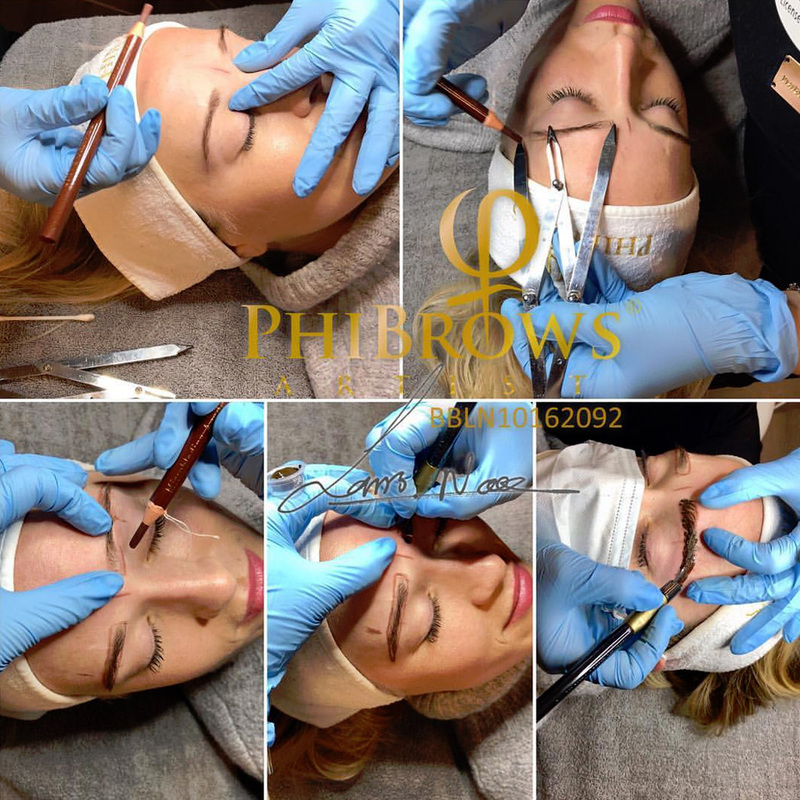 Microblading is just one of the “Permanent Makeup" procedures gaining popularity in recent years. Skinneedling is also called Microneedling therapy or collagen induction therapy. It is a minimally-invasive non-surgical and non- ablative procedure for facial rejuvenation that involves the use of a micro-needling device to create controlled skin injury. As each fine needle punctures the skin, it creates a channel or micro-wound. The controlled injury triggers the body to fill these microscopic wounds by producing new collagen and elastin in the papillary dermis. In addition, new capillaries are formed. Through the process of Neovascularization and Neocollagenesis, there is improvement in skin texture and firmness, as well as reduction in scars, pore size, and stretch marks. Applied 1 extension per 1 natural lash. The length and curve are chosen according to the condition of your natural eyelashes and to suit your facial features and preferences. 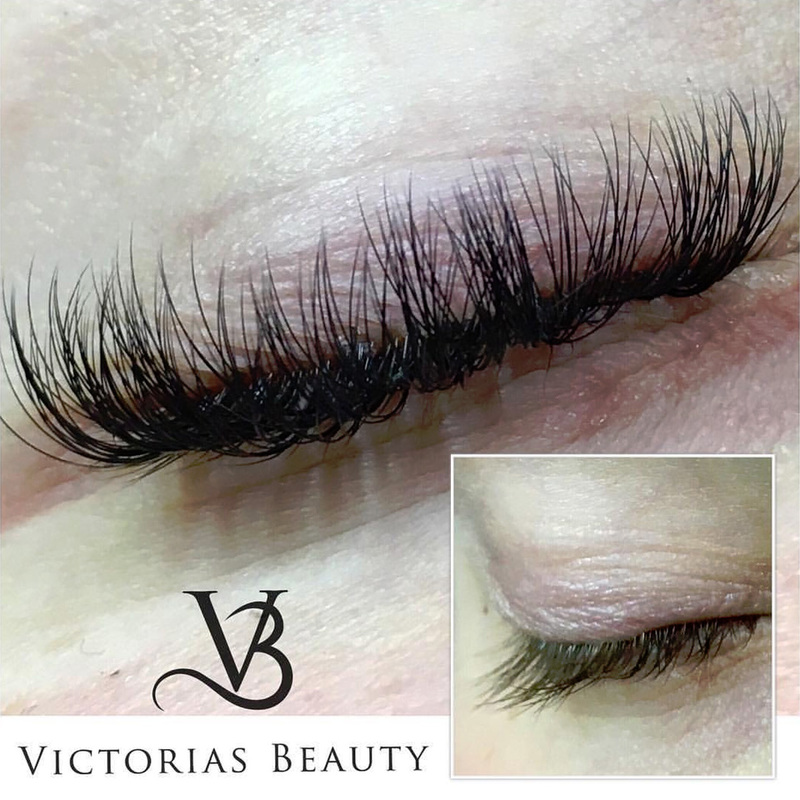 This style is perfect for adding extra length to your lashes and will most suit clients with many strong and healthy natural eyelashes. 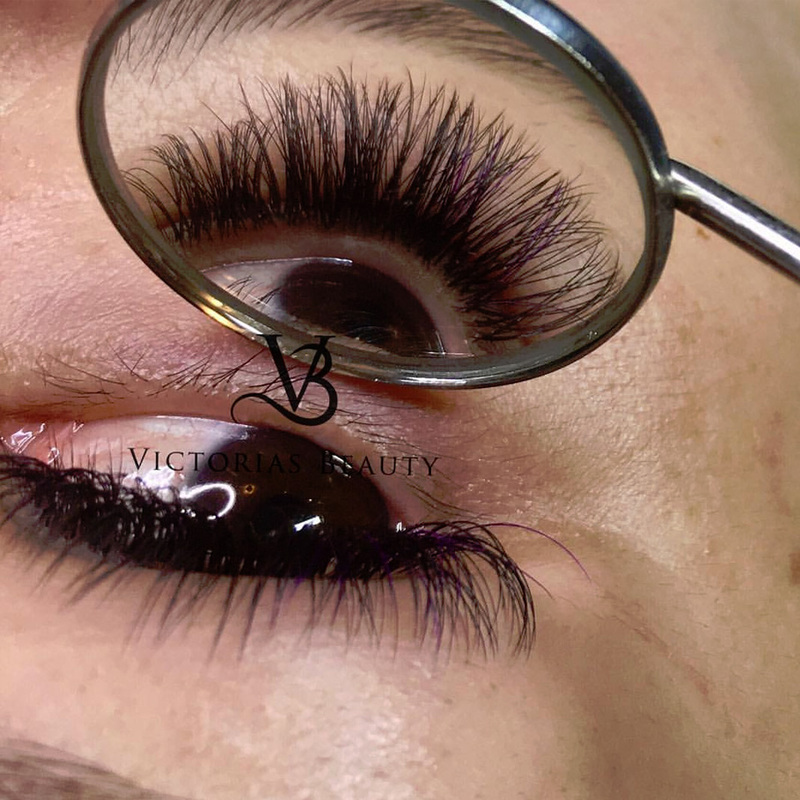 3D-7D Volume, thinner and lighter extensions are used which allows to place up to 7 extensions per natural eyelash according to the condition and health of your eyelashes. The result can be as natural or as dramatic as you wish. Volume extensions are originally from Russia. 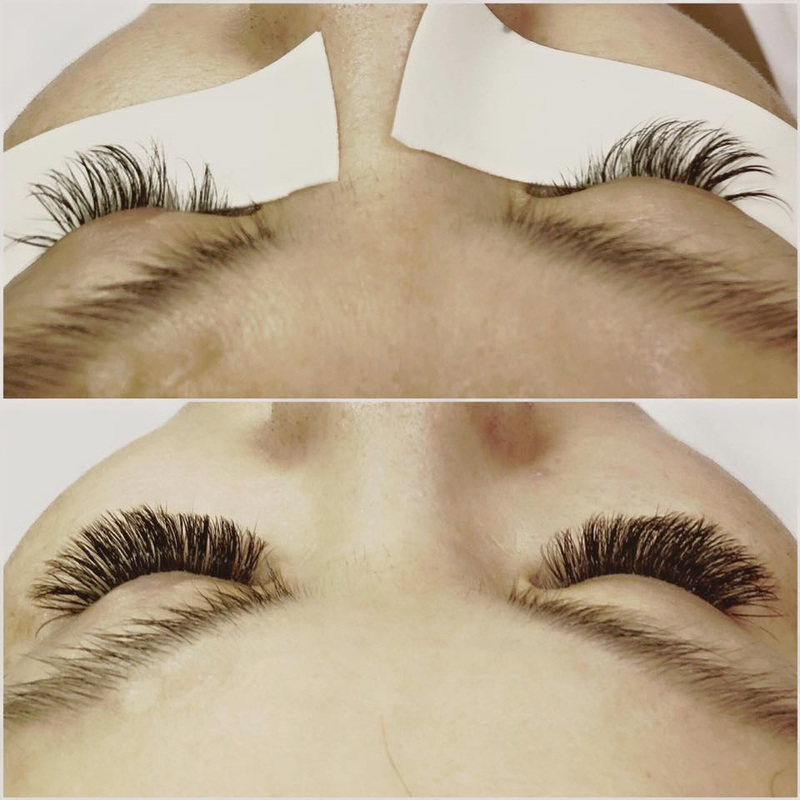 A wonderful treatment for you who want natural, rich and beautiful eyelashes. Yes, at any time for any reason they can be removed however there will be a removal charge. Refer to our prices for further information. 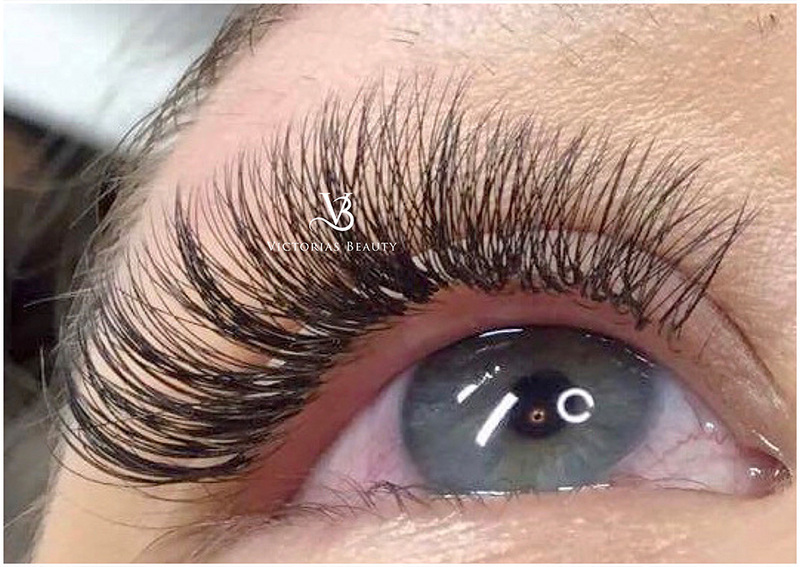 The extension lashes are easily removed by using a glue remover and is carried out safely by one of our professional beauticians. * For the first 12 hours avoid getting the lashes wet to allow the glue to completely dry - Preferably 24 hours is advised for proper bonding. -Bacterial infections: conjunctivitis or pink eye, hordeola or styes, blepharitis, impetigo, viral infectious, herpes zoster or shingles. 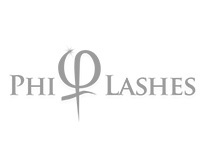 The golden rule for wearing eyelash extensions is the less you touch them the longer they will last. However, it is important to keep the eye area clean.. 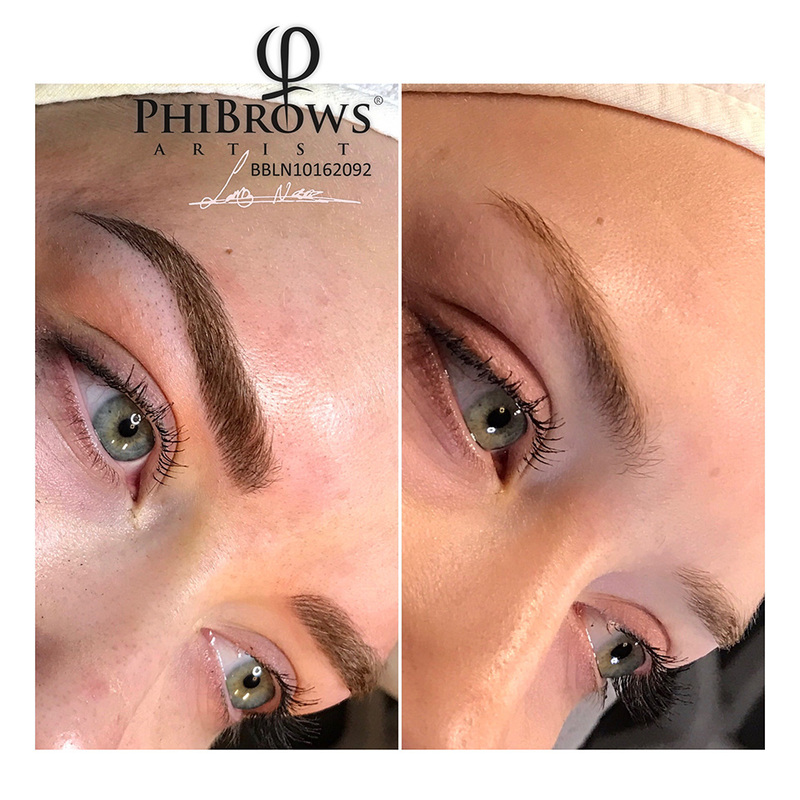 If your eyebrows are very fair and look non-existent then eyebrow tinting will give you very natural looking brows to compliment your facial features. The tint will generally last between 6-8 weeks depending on your exposure to sunshine and other bleaching elements. What happens during the treatment: This is a straight forward, quick and painless procedure using vegetable dye to tint your eyebrows. The colours available are black, brown and light brown. Your therapist will advise on which colour to use for best results. 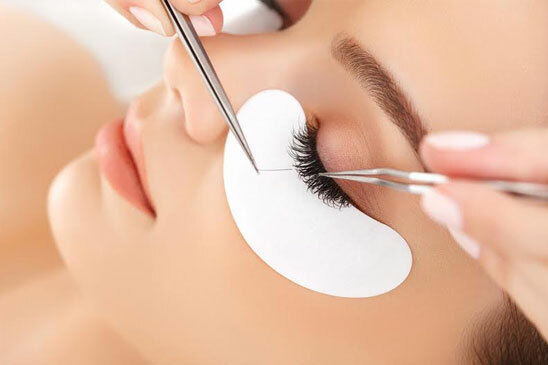 Eyelash tinting is a process wherein your eyelashes are dyed to make them look darker. 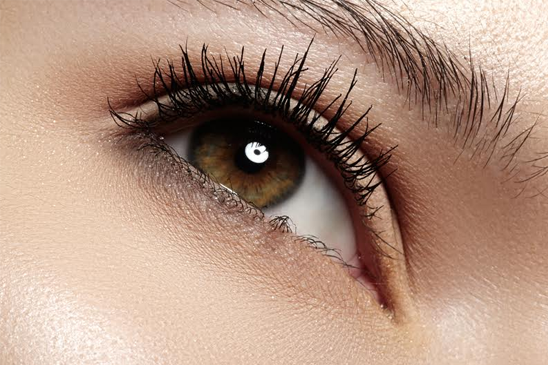 Depending on your skin type and hair color, you can achieve eyelash colors, including black, blue, blue black, shades of brown, or whatever color best fits your complexion. 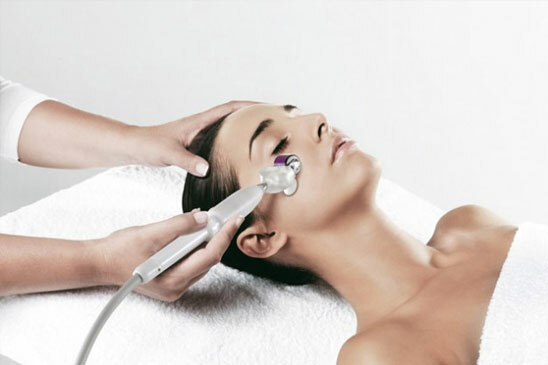 This process involves the smoothing away of dulling surface debris, while restoring vital nutrients to tired skin. An exfoliating body scrub customised with aromatherapy essential oils will smooth the skin and relax stressed muscles igniting your senses, leaving you feeling totally at ease. This is the Perfect complement to our selection of wraps, or before a Solar Bronzing Treatment as the skin is smoother and prepped for maximum absorption. Body wraps are designed to improve the texture and appearance of the skin by helping to rid the body of excess fluids and toxins. The benefits of body wraps may include body contouring, detoxification, boosting of the lymphatic system and metabolism, temporary inch loss, skin tightening and skin softening. A body polish can be done with any number of materials like salt, sugar, coffee grounds, rice bran, pecan hulls and usually mixed with some kind of massage oil like ‘aromatic essential oils.’ If the polish uses salt, it might be called a salt scrub, salt glow or sea salt scrub. The exfoliation is usually derived with the application of body lotion. After a full-body polish, your skin will look fresh and glowing and you’ll feel completely energized, pampered and refreshed. If you’re looking for a professional exfoliation session, try a body polish. The ‘Head massage’ is one of our best stress bursting techniques. It provides deep relaxation to the head and scalp which allows blood circulation to flow more easily to the hair roots and is even know to cure headaches. It helps to reduce stress making you feel relaxed and calms your mind helping to revitalize the brain and body. Using our wide selection of essential oils suitable for your needs, this process includes massages of neck, shoulders and back providing the ultimate in stress relief. The term “Classic Massage,” refers to a variety of techniques specifically designed to relax muscles by applying pressure to them against deeper muscles and bones and rubbing in the same direction as the flow of blood returning to the heart. Swedish massage shortens recovery time from muscular strain by flushing the tissues of lactic acid, uric acid, and other metabolic wastes. It increases circulation without increasing the load on your heart. It stretches the ligaments and tendons keeping them supple and pliable. 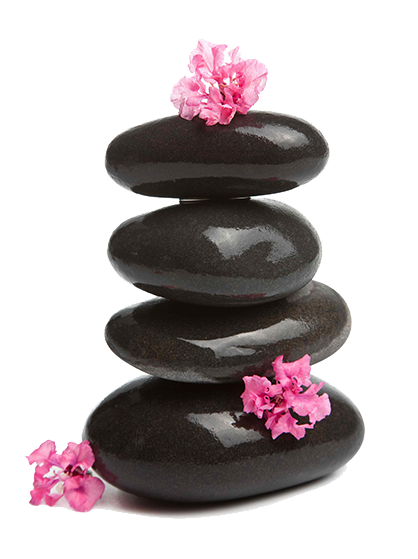 Swedish massage also stimulates the skin and nervous system and soothes the nerves themselves at the same time. It reduces stress, both emotional and physical and is encouraged in regular programmes for stress management. It also has many specific medical uses. Shiatsu is a form of therapeutic bodywork that originates from Japan and has a deeper roots in traditional Chinese medicine. It is non-invasive therapy that will help You in reducing stress and contribute to overall well being. It is done over the light and comfortable clothes. One session usually last 45-60 minutes. Shiatsu means finger pressure. We use our thumbs and palms to press on specific points along body meridians. Also we use kneading, pressing, soothing, tapping, and stretching techniques along the body. Body meridians are system of pathways in the body where energy or Qi (Chi) flows. Often system gets blocked, energy gets stagnated, not flowing, we lose balance, so we experience different kind of body symptoms, like pain, tiredness etc. It can be used in the treatment of a wide range of different symptoms like reducing muscle stiffness, headaches, joints, back, neck pain, stimulate the skin, PMS symptoms, aid digestion, and influence the nervous system. Also effects emotional condition to, helping with stress, anxiety, fatigue and other symptoms. One session of Shiatsu massage lasts 45-60min. Massage is done over comfortable clothes and on the floor. If You want just relaxation or have some problems with joints, muscles, digestion, etc shiatsu massage will help You to get more into balance. 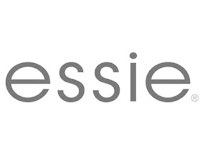 Many different massage techniques including Swedish and Aromatherapy massage that are most beneficial for your needs. Aromatherapy is a caring hands-on therapy which seeks to induce relaxation and increase energy to reduce the effects of stress and to restore lost balance to mind, body and soul. Aromatherapy can be defined as the art and science of utilizing naturally extracted aromatic essences from plants, to balance, harmonize and promote the health of body, mind and spirit. It is an art in science which seeks to explore the physiological and spiritual realm of the individual’s response to aromatic extracts, as well as to observe and enhance the individual’s innate healing process. As a holistic practice, Aromatherapy is both a preventative approach as well as an active method to employ during acute and chronic stages of illness or disease. Aromatherapy is… the skilled and controlled use of essential oils for physical and emotional health and well being. 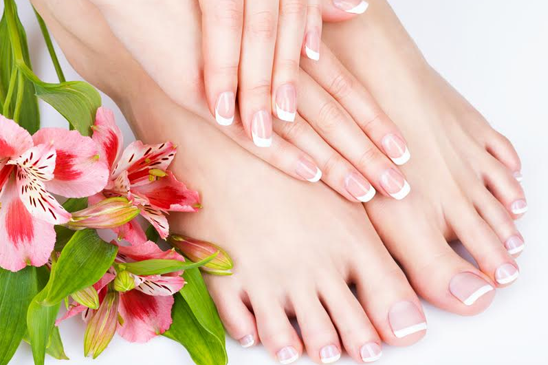 We use acetone-free nail polish remover Foot tub, sea salts, olive oil, exfoliating body scrub, toenail clippers, mask, cuticle cream, hot towel, foot cream, nail polish. 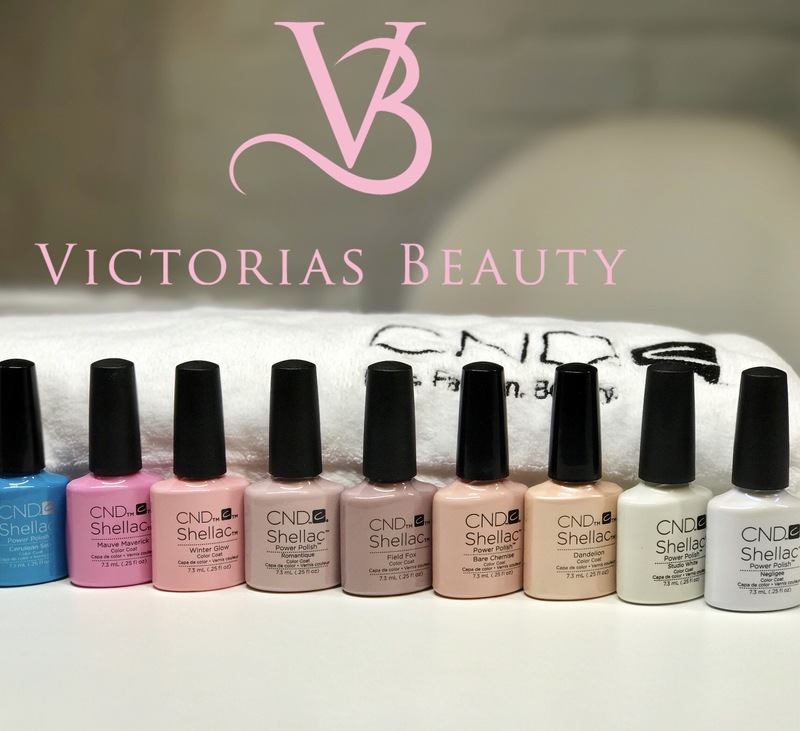 We only use original Shellac from CND. Acetone-free nail polish remover, nail clipper, cuticle cream and removing, buff and polish. Acetone-free nail polish remover, nail clippers, buff, cuticle cream and removing, exfoliating body scrub, mask, hot towel, hand-cream and polish. Multi-fruit footbath, acetone-free nail polish remover, nail clipper, buff, cuticle cream and removing, exfoliating body scrub, foot mask, hot towel, foot-cream and polish. 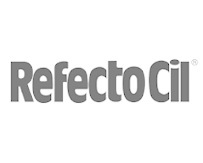 Acetone-free nail polish remover, nail clipper, cuticle cream and removing, buff and French polish. Acetone-free nail polish remover, nail clipper, buff, duticle cream and removing, exfoliating body scrub, mask hot towel, hand-cream and French polish. Multi-fruit footbath, acetone-free nail polish remover, nail clipper, buff, cuticle cream and removing, exfoliating body scrub, mask, hot towel, foot-cream and French polish. Shellac was created by CND (Creative Nail Design) after five years in the research labs. CND refers to the product as “Power Polish,” because Shellac is a hybrid of gel and regular polish. 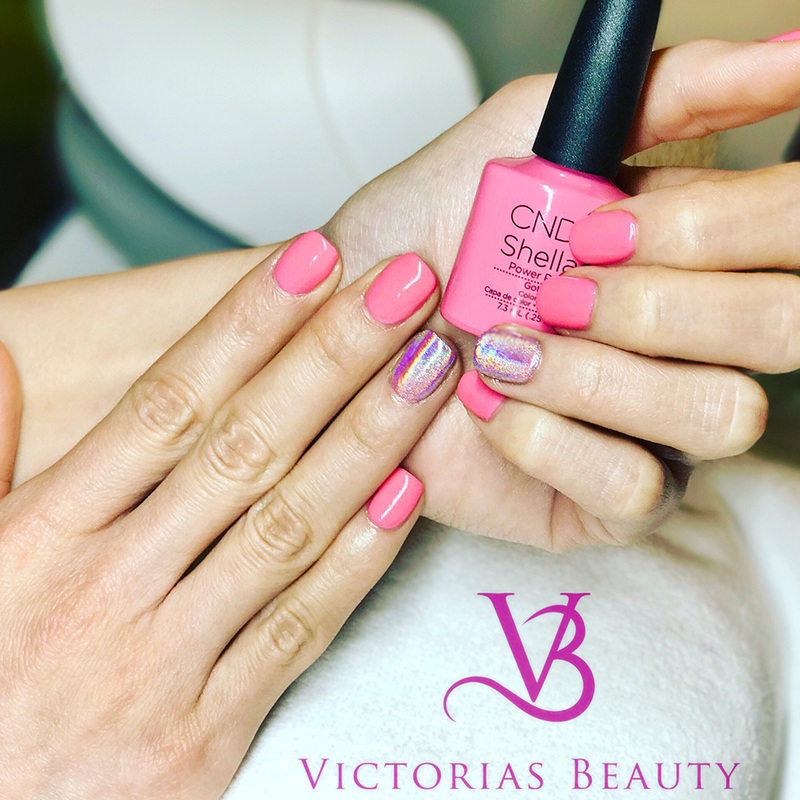 Shellac promises longer wear, “cures” under a UV lamp, and lasts up to two weeks with NO chips. It’s thin, flexible and glossy, like normal nail polish, and it takes less than ten minutes to remove. Plus, there is no drilling, or no dry time. Use SolarOil daily to keep nails and cuticles moisturized. Moisture – The ingredients within the oil brings moisture to the nails which you can loose from wearing products such as nail polish or Shellac and can also help moisturise the cuticles and surrounding skin. Chipping, flaking and splitting – Another advantage to using a nail oil is that it brings strength as well as flexibility to the nails. An oil is perfect for someone with weak nails as it will strengthen them. Even if you have extremely strong nails you should still use a nail oil, this is because sometimes the nails can be so strong that as soon as you knock them they split or chip. 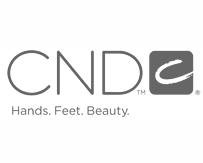 Some salons may advertise that they offer Shellac but use other products, so make sure all the items used during your Shellac service are labeled with the CND logo. Your hands are submerged in the warm liquid wax of a paraffin hand spa, and the wax then hardens slightly on your skin and is removed after a few minutes. The paraffin wax helps deep moisturize and condition the skin on your hands, and your nails and cuticles. UV Gel Nails are artificial extensions worn on the fingertips. Hard Gel gets its name because, once cured, it is tough enough to be made into a nail extension. 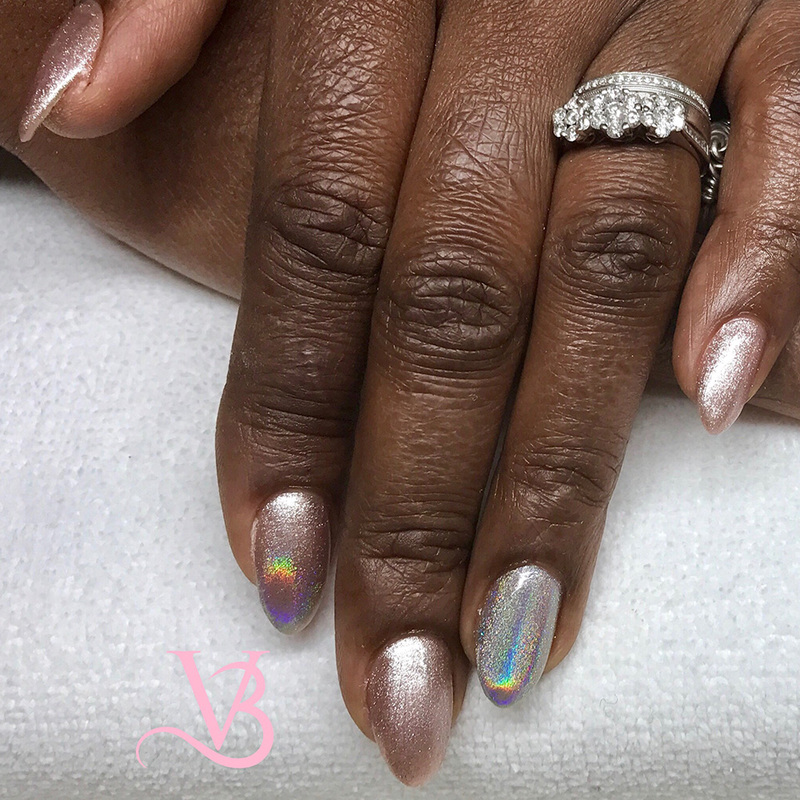 Nail extensions are artificial nails created by using a nail product to extend the nail past the edge of the natural nail. Soft Gel refers to the gel products that are too soft to create a nail extension. 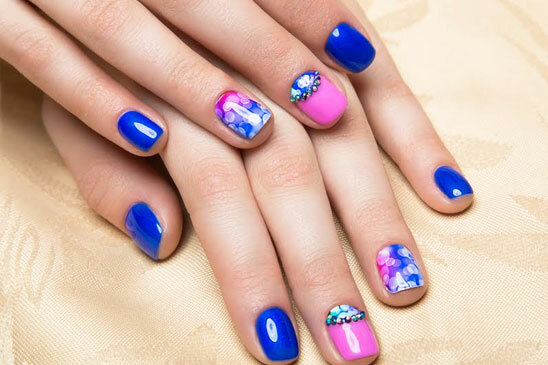 Gel nails are a type of artificial nails that most closely resembles the natural nail. The strands, when dry, form a hard resin that resembles a fingernail. Waxing For Women and Men! There are many benefits to waxing versus other forms of hair removal. It is an effective method to remove large amounts of hair at one time and is a longer lasting method. Hair in waxed areas will not grow back for two to eight weeks. When hair is shaved or removed by depilatory cream, the hair is removed at the surface rather than the root, within a few days the hair can be seen at the surface. With these methods, hair tends to grow back in rough stubble. Areas that are repeatedly waxed over long periods of time often exhibit re-growth that is softer. 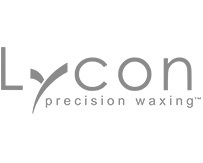 We use high quality wax made by refined resin that has added Titanium Dioxide for extra sensitive skin. Your skin is often more sensitive towards the time of your period and waxing can be more painful than usual. As a general suggestion, your appointment shouldn’t be any closer than a couple of days before or after your period. Bikini waxing is the epilating of body hair in and around the pubic region by the use of wax. With the decreasing size of women’s swimwear, the term bikini line is the imaginary line in a woman’s pubic region that delineates that part which would normally be covered by the bottom part of a swimsuit. In the context of waxing, it is generally understood to describe any pubic hair visible beyond the boundaries of a swimsuit. Epilating is usually also performed on the upper leg. Waxing “Hollywood” style often leaves a small strip, triangle or oval shape piece of hair in the front, while removing all the hair in between all the way to the back. Brazilian waxes remove all of the hair, from the front all the way to the back! Face, Eyebrows, stomach, neck, chest, back, shoulders, arms, legs and thighs. Yes, bikini or Brazilian waxing is no longer gender-specific! 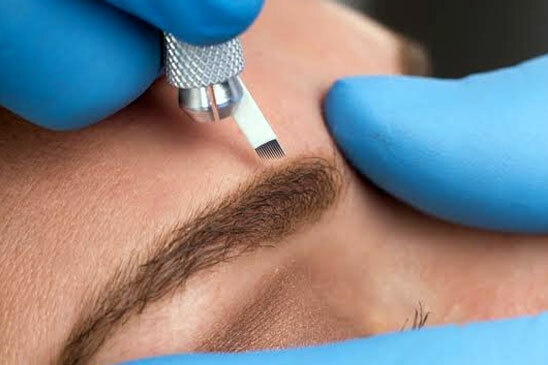 Now men can reap the benefits of longer-lasting hair removal even in your most intimate region. 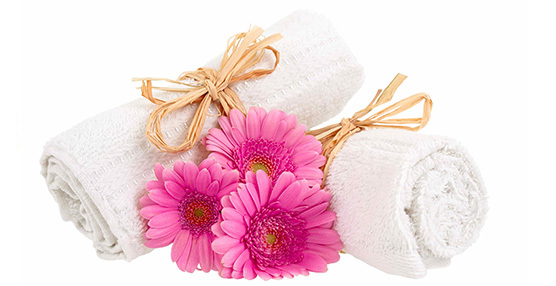 Because of hygienic reasons, we strongly advice our customers to wash before treatment! Exfoliation | Infusion | Oxygenation | Wrinkle reduction. triggers a body response that sends oxygen to the treated area. dead cells, smooth and renew the skin. skin to receive active nutrients. skin sending O2 rich blood to the area. You will see and feel the natural results from your very first treatment. 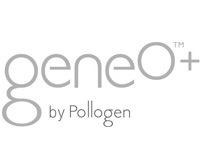 Are OxyGeneo & TriPollar treatments suitable for all skin tones? Yes, OxyGeneo & TriPollar are safe for all skin tones. immediately return to your daily activities. Experience our waxing! Have you ever tried Hollywood waxing before? - Less than 24 hour or "No Shows " notice will result in a charge equal to 100% of the reserved service amount. - Appointments made within the 24 hour period and need to cancel, the client then must cancel within 3 hours of appointment time or will result in a charge equal to 50% of the reserved service amount. As a courtesy, we will send and confirm your service appointments 1 business day prior to your appointment date. Please understand that it is your responsibility to remember your appointment dates and times to avoid late arrivals, missed appointments and the cancellation fee. The cancellation policy allows us the time to inform our standby guests of any availability, as well as keeping our team members scheduled filled, thus better serving everyone. 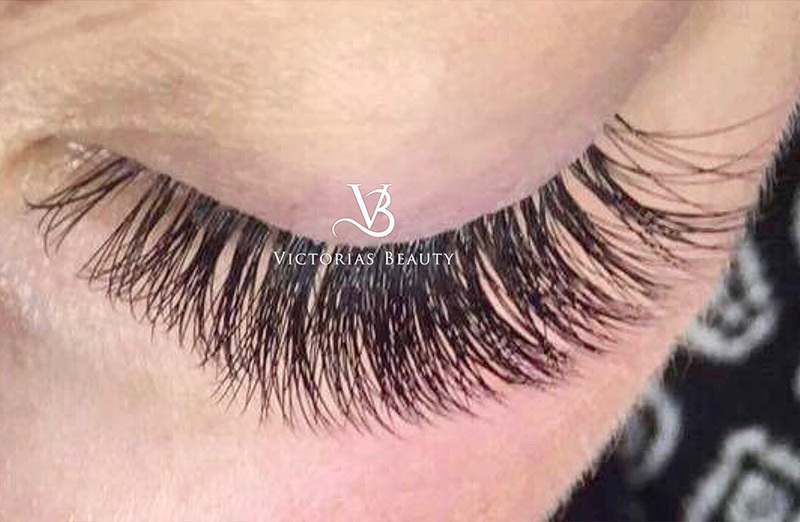 Victorias Beauty Studio´s policies are presented and provided in the best quality and tradition of excellent servicing for our established and future clientele. Thank you for viewing and supporting our policies criteria. Best beauty studio in town. Highly recommended, highly professional. A great place to enhance the beauty in you. 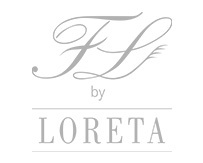 Beautiful staff and wonderful products. Can't praise Victoria's Beauty enough just fabulous ! 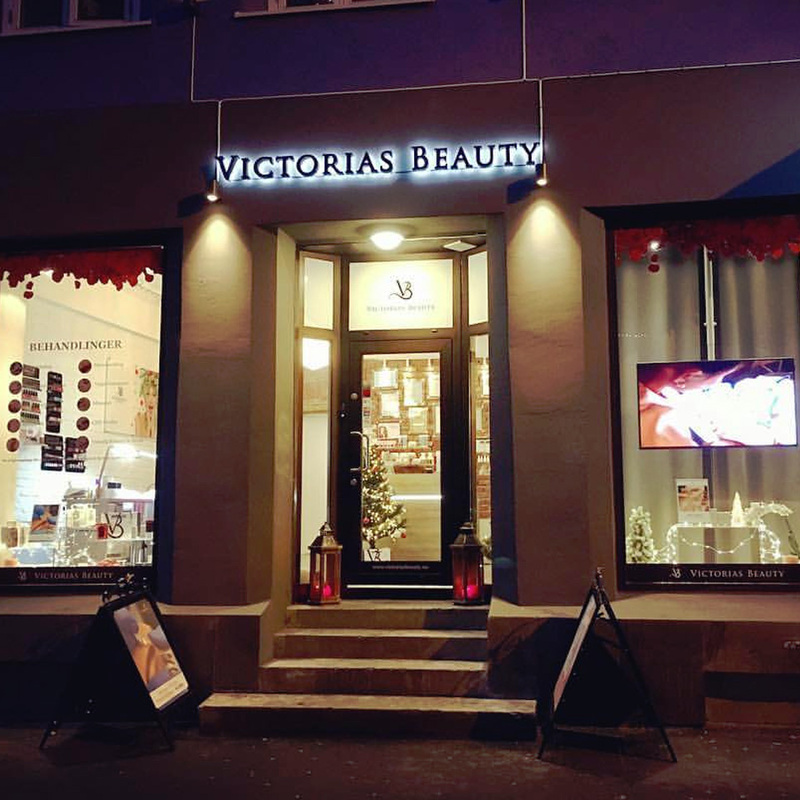 We are located in Oslo City center! email: lan@victoriasbeauty.no or use our contact form !